Bring the flavor home with you. Mike’s Santa Fe Seasoning is perfect on ribs, burgers, chicken, seafood and anything else you can throw on the grill. Made with quality spices and no MSG or sodium added. All local taxes will be added to total bill. Prices shown reflect pick-up service only, delivery, set-up, and serving are additional. WE DO NOT ADD GRATUITY TO YOUR BILL. WE LEAVE IT UP TO YOU. Smoked meats are perfect for any occasion Slow Cooked using seasoned wood and chemical free lump charcoal for a great smoked flavor. Top quality beef brisket seasoned with Mike's Santa Fe Seasoning Rub slowed smoked overnight. Fresh pork shoulder seasoned with Mike's Santa Fe Seasoning Rub slowed smoked overnight. Smoked Sliced Pork Loin $9.99/lb. Seasoned with Mike's Santa Fe Seasoning Rub slowed smoked moist, sliced thin ready to serve. Crisp tortilla chips topped with our pulled pork , diced tomatoes, diced onions, cheddar cheese, sour cream, salsa, and peppers. This is our most tender cut of pork rib. Seasoned and smoked to perfection. Santa Fe Seasoning, then slow-roasted until tender and juicy. Cilantro, lemon and apple stuffed in cavity. Mike’s Smoked Cheesy Mac and Cheese $7.49/lb. 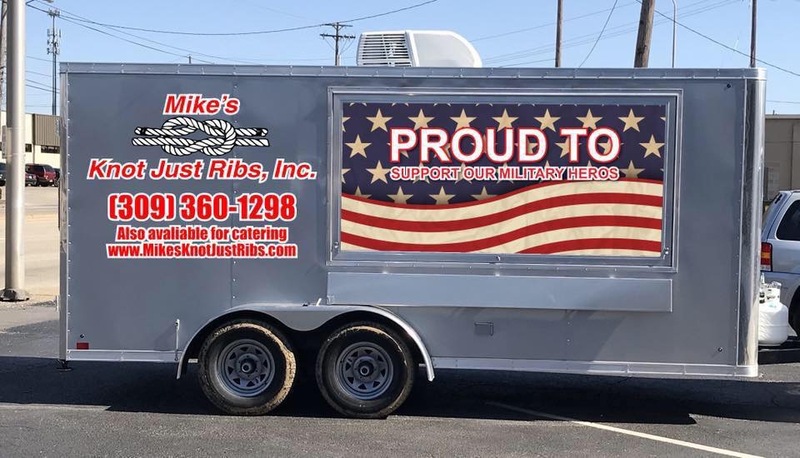 Mike’s Smoked Baked Beans $5.99/lb. Homemade Cheesy Mashed Potatoes $6.25/lb. Homemade Green Beans w/Bacon and Garlic $7.49/lb. Homemade Creamy Cole Slaw $4.99/lb. Homemade Italian Pasta Salad $7.49/lb. Homemade Three Bean Salad $5.99/lb. Food warmers, chafing pans, serving pans, spoons, tongs, condiments, included in set-up quote. Also available: Buffet tables, 2- 10’x10’ tents, and serving trailer.. We serve all of our food on a buffet line. This allows your guests to see the food available and select what they would like to eat. Some of our meats are sliced to serve for your guests at a carving station. you with the leftovers if you have a refrigerator that they can be placed into. Our health department regulations do not allow us to simply leave the food in a non temperature controlled environment. Amazing Blog. I really like your whole blog posts. 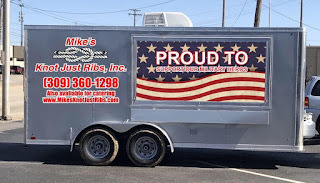 I'm very happy to read you provide BBQ Catering Services For Birthday Party In Washington. I hope you will providing this kind of information for us. Keep up to the work. Very Informative post!! Do you want to get service from the top Caterers in Kent? Without any delay contact visit our site now to check our booking options for catering company in Kent for you upcoming marriage event!